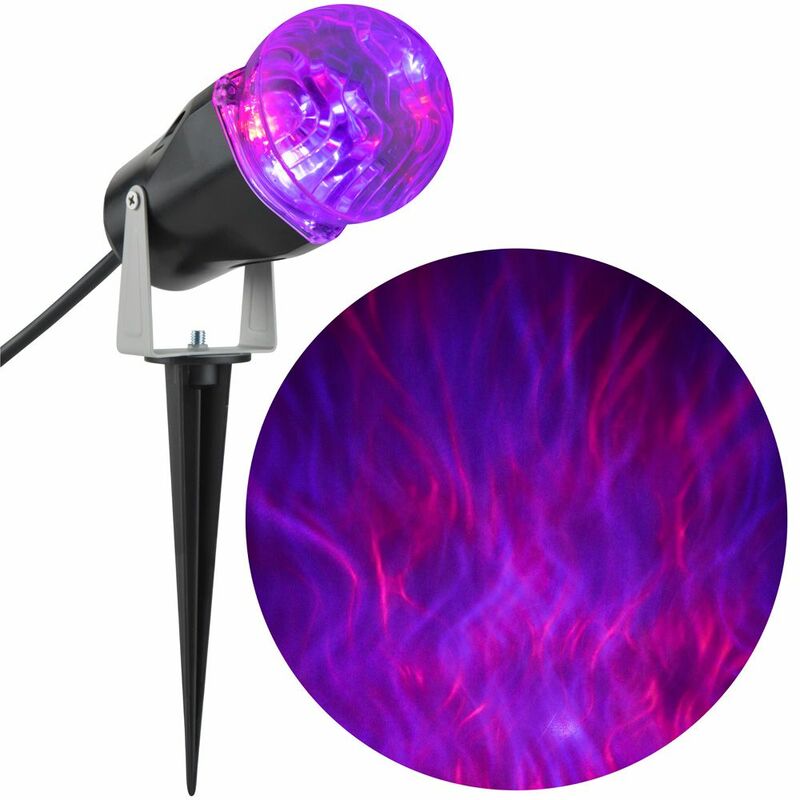 Enhance your outdoor holiday dicor with this color changing "GhostFlame" spot light. The mesmerizing light effect looks great on any surface. Plug it in and enjoy the show! Decorate your holidays with affordable, power saving and attractive LED Lighting. LED Lights offer Extra Long Life and use up to 80% Less Energy than Standard Bulbs. They are cUL Listed and can be connected to more sets than Standard Lights. Add instant holiday dicor with projection lighting featuring twirling, swirling lights in regal red. Creates a kaleidoscope of magical holiday lighting on indoor or outdoor surfaces, including exterior or interior walls, living spaces, front doors and porches, garage doors, fences, trees and shrubs. Update your holiday decorations quickly and easily with beautiful LED projection lighting. Instantly transform your home with a dazzling display of spinning light. Super Projection Star Spinner includes two spotlights and a remote control to manage 61 features that project in red, green, blue and white. Creates magical holiday lighting on indoor or outdoor surfaces, including exterior or interior walls, living spaces, front doors and porches, garage doors, fences, trees and shrubs. Update your holiday decorations quickly and easily with beautiful LED projection lighting. LED GhostFlame Purple Projection Spotlight Enhance your outdoor holiday dicor with this color changing "GhostFlame" spot light. The mesmerizing light effect looks great on any surface. Plug it in and enjoy the show!